Step down to Moti Mahal, walk into our Suites and Deluxe rooms and avail the room service facility. You will experience the perfect combination of luxury, comfort and elegance. These Rooms and Suites are featured with private, elegant furnishings and balconies where you can enjoy the spectacular view. 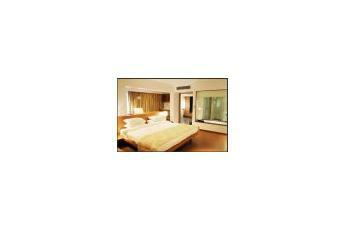 The excellent ambience of these room attracts families and couples. 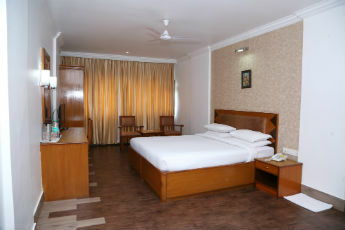 They are furnished with elegant interiors and modern amenities. All the deluxe rooms are cozily decorated and furnished with modern amenities, which include air-conditioning, television and telephone facilities. A Moti Suite is the ultimate sign of luxury. Lavishly and stylishly furnished with executive amenities, it will tempt you to remain indoors. It is specially designed for corporate guests, families and everyone who believes in luxury and comfort. Our services are beyond imagination; the Hotel takes care of your needs, through personalized services and assures you comfort. We offer excellent packages for Individual Travelers, Group Travelers, Corporates... etc. We host great leisure activities and entertainment for the enjoyment of our Guests. Moti Mahal is the ideal place for those who value a pleasant environment and a luxurious lifestyle.